APAPEC is the "Society of relatives and friends of father Courtet". Its registered goal (since 1965) is to propagate his knowledge. Born in 1590 (1589 ?) 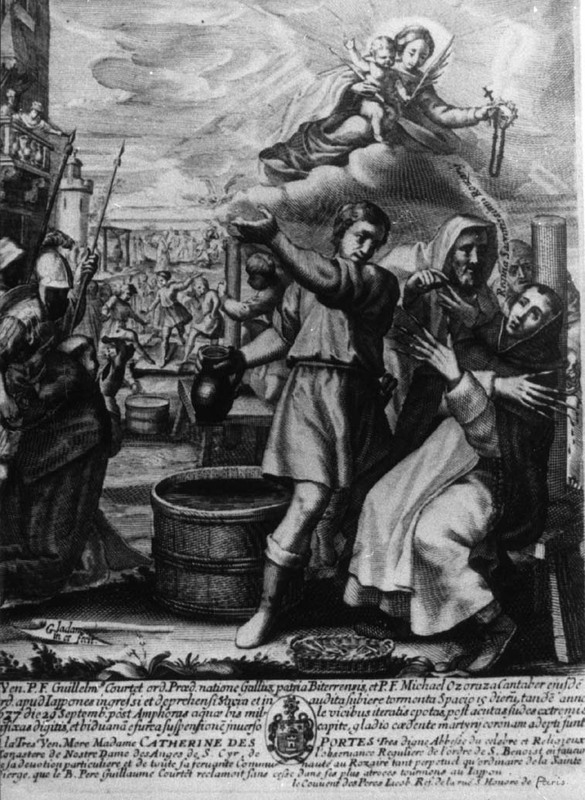 in the city of Sérignan in Languedoc, Guillaume Courtet became the first French martyr in Japan in 1637. His canonical trial - and that of 15 other martyrs - was re-initiated by the world wide action of father Joseph Estournet (1905-1993) who created our society in 1965. Father Courtet and 15 companions (text in english for San Lorenzo Ruiz) were beatified by pope John-Paul II in Manila on 18th of February 1981 and canonized in Roma on 18th of October 1987. For the members of APAPEC that official proclamation of holiness occured with the feeling : "It just begins". Indeed the canonization is not intended for the saint but for the today people :"Everybody has a call towards saintliness" (Vatican II). The society has no lucrative goal and lives with subscriptions of his members and with some grants from local or regional administrations. co-operations linked with evangelization notably in Asia and specially in Japan. For any purpose, question comment, information, suggestion,... you may contact us. Have a look to French APAPEC's home page ?